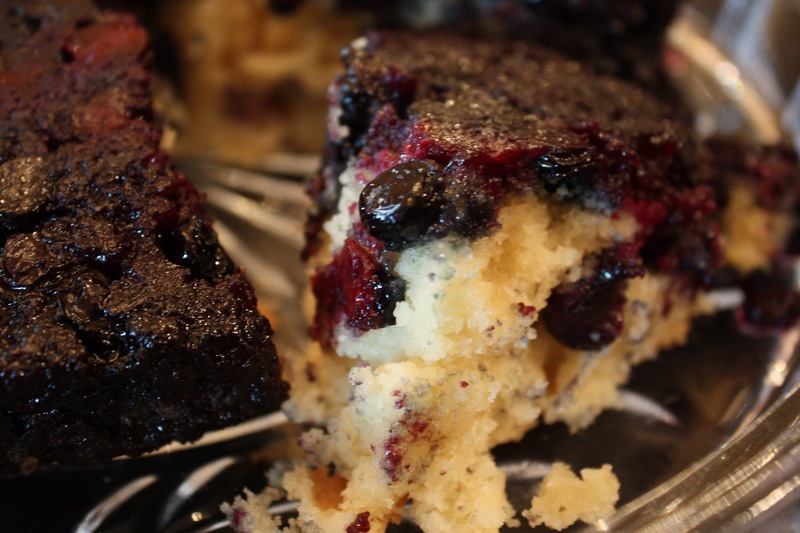 If you want the non gluten free version, click here for Linda’s recipe! Preheat the oven to 350 degrees. 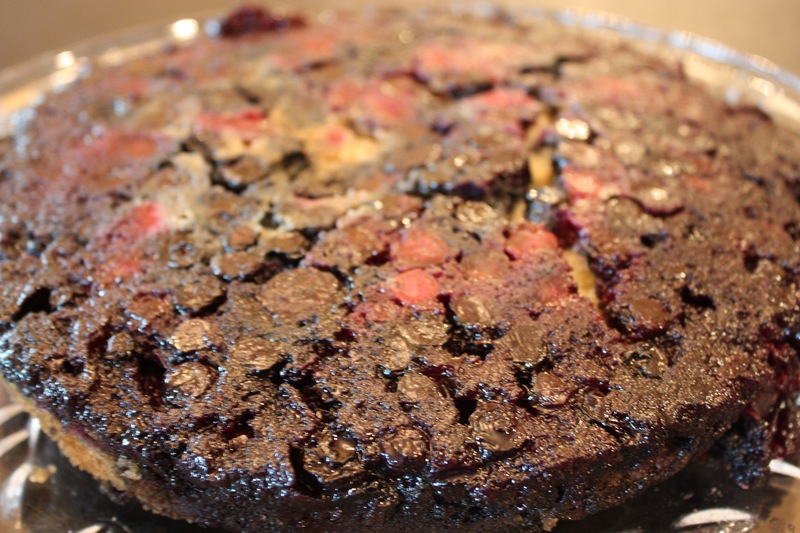 In a round 9″ cake pan or 9×13 square pan, coat the bottom of the dish with 1/4 cup melted butter. 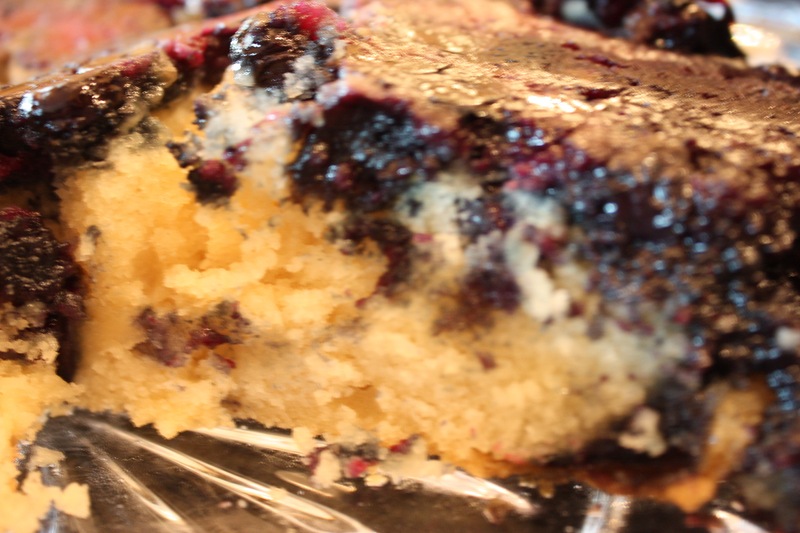 Sprinkle brown sugar and blueberries around and even out on top of the butter (this will create the topping and the blueberries will bubble in the oven and caramelize). Mix cake mix per package instructions and mix in almond extract to finish. 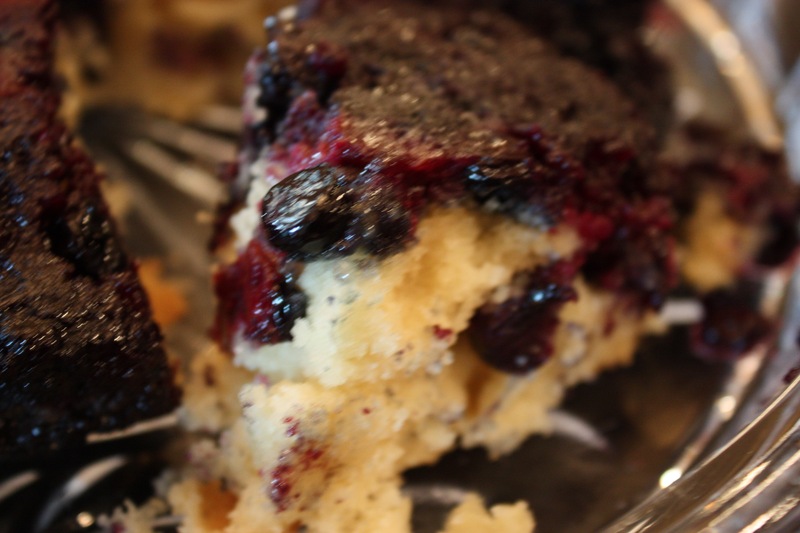 Spread the batter evenly over the blueberries. Bake at 350 degrees for 40-45 minutes or until toothpick comes out clean. 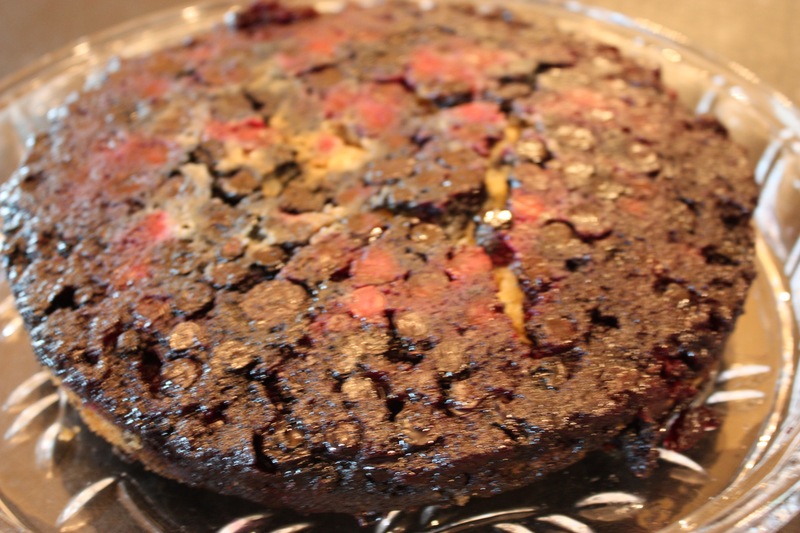 Let it rest for 20 minutes and then flip the pan over in a cake stand or serving platter. Serve warm or cold or with ice cream and enjoy. YUM!